As most of you may know, I recently became a dog mommy again in March. It was a really bittersweet experience going to pick Hudson up from the breeder. Getting a new puppy meant I was leaving Namoo's memory behind, but after giving it a few months and lots of thought, I realized it wouldn't mean that we'd be replacing him [he's irreplaceable]. Namoo was truly one in a million and I know he would have wanted us to be happy. I got my first dog when I was 4 years old and then Namoo when I was 9, so this was the first time in 20 years that I didn't have a dog. A house without a dog just doesn't feel like home to me. Training a puppy requires lots of time, patience, and treats. So the plus about making your own dog treats is that it's affordable to make in bulk and you know exactly what it's made of. There's a misconception that all "human" food is bad for dogs, but if you do your research, you'll find that there are a lot of foods out there that can be beneficial to your dog's health. It's important to do the research and make sure your information is coming from a reliable source. 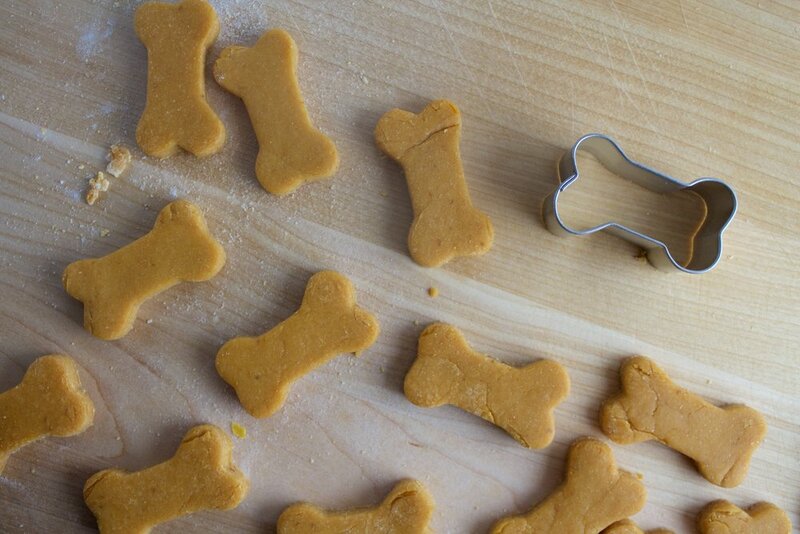 This recipe is for peanut butter & pumpkin dog treats that Hudson goes crazy for. Peanut butter is a great treat for dogs, but not ALL peanut butter brands are safe. An ingredient that some off brands of peanut butter contain is xylitol, which is a sugar substitute also found in items like toothpaste and sugar-free gum. Read more here. 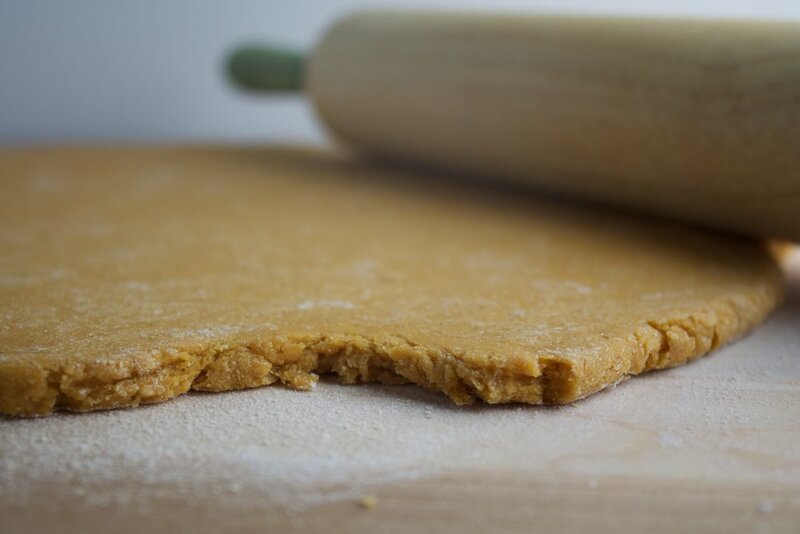 Preheat your oven to 350 degrees F. Line a baking sheet with a silicone baking mat or parchment paper. 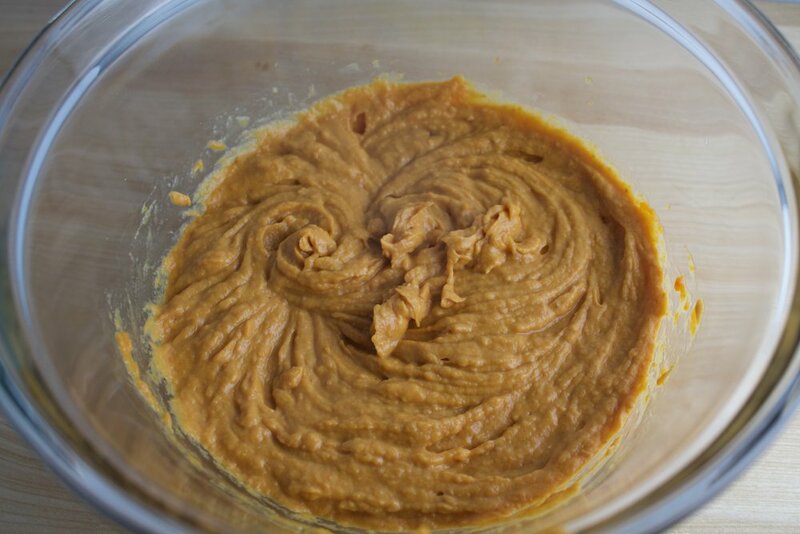 Combine pumpkin, eggs, and peanut butter in the bowl of a stand mixer fitted with the paddle attachment (if you don't have a stand mixer, you can use a hand mixer or a whisk and some elbow grease). Beat on low for about 1-2 minutes until well-combined. Add the flour and mix just until all the flour is incorporated. The dough will look shaggy and dry. 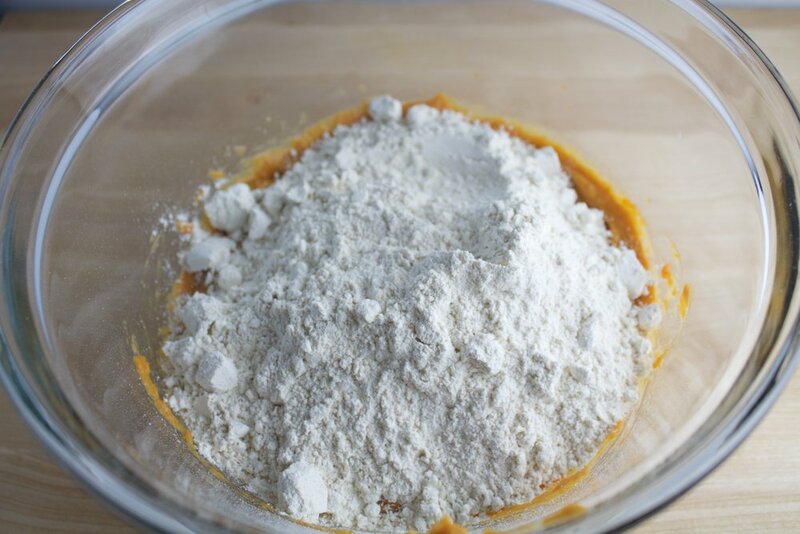 Turn out the dough onto a floured surface. Knead until it comes together to form a ball. 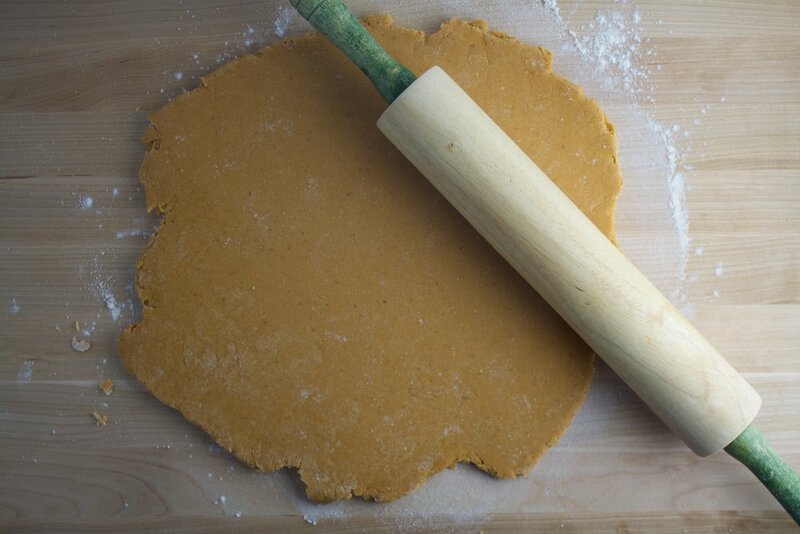 Using a rolling pin, roll the dough out to 1/4-inch thick. Cut out using whatever cookie cutters you have (for puppies, I'd recommend using a smaller cutter). Arrange on cookie sheet and bake for 20-25 minutes, until the edges are golden brown. These treats puff up a bit, but don't spread so you don't have to leave much space between them on the sheet. Let cool completely before giving them to your K9 : ) Just make sure to tell them it'll be worth the wait! Aren't these shapes adorable? I bought this set on Amazon here and it's great because it comes with various sizes of cutters great for large and small dogs.